A growing body of evidence suggests that environmental stresses can cause changes in gene expression that are transmitted from parents to their offspring, making “epigenetics” a hot topic. Epigenetic modifications do not affect the DNA sequence of genes, but change how the DNA is packaged and how genes are expressed. Now, a study by scientists at the University of California, Santa Cruz, shows how epigenetic memory can be passed across generations and from cell to cell during development. 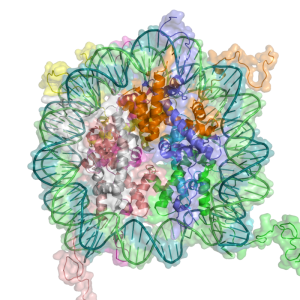 The study, published September 19 in Science, focused on one well studied epigenetic modification—the methylation of a DNA packaging protein called histone H3. Methylation of a particular amino acid (lysine 27) in histone H3 is known to turn off or “repress” genes, and this epigenetic mark is found in all multicellular animals, from humans to the tiny roundworm C. elegans that was used in this study. “There has been ongoing debate about whether the methylation mark can be passed on through cell divisions and across generations, and we’ve now shown that it is,” said corresponding author Susan Strome, a professor of molecular, cell and developmental biology at UC Santa Cruz. Strome’s lab created worms with a mutation that knocks out the enzyme responsible for making the methylation mark, then bred them with normal worms. 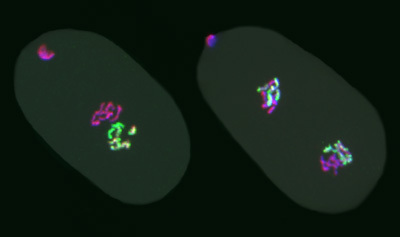 Using fluorescent labels, they were able to track the fates of marked and unmarked chromosomes under the microscope, from egg cells and sperm to the dividing cells of embryos after fertilization. Embryos from mutant egg cells fertilized by normal sperm had six methylated chromosomes (from the sperm) and six unmarked or “naked” chromosomes (from the egg). As embryos develop, the cells replicate their chromosomes and divide. The researchers found that when a marked chromosome replicates, the two daughter chromosomes are both marked. But without the enzyme needed for histone methylation, the marks become progressively diluted with each cell division. The researchers then did the converse experiment, fertilizing normal egg cells with mutant sperm. The methylation enzyme (called PRC2) is normally present in egg cells but not in sperm, which don’t contribute much more than their chromosomes to the embryo. So the embryos in the new experiment still had six naked chromosomes (this time from the sperm) and six marked chromosomes, but now they also had the enzyme. Strome noted that the findings in this study of transmission of histone methylation in C. elegans have important implications in other organisms, even though different organisms use the repressive marker that was studied to regulate different genes during different aspects of development. 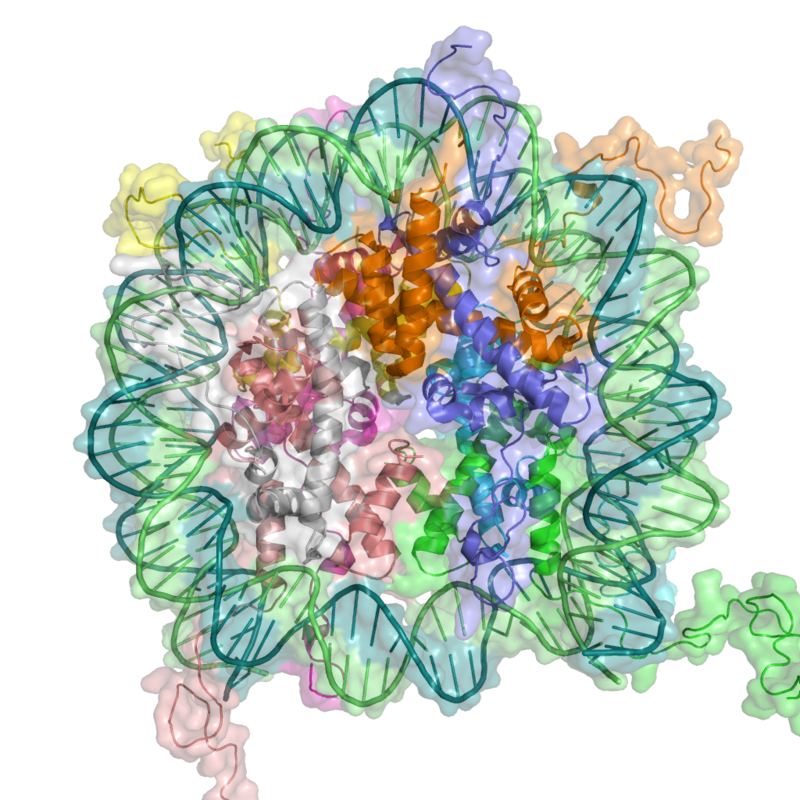 All animals use the same enzyme to create the same methylation mark as a signal for gene repression, and her colleagues who study epigenetics in mice and humans are excited about the new findings, Strome said. Watch Live as MAVEN Meets Mars!